OIDEYASU – WELCOME TO KYOTO IN PORTLAND! Starting in 2018, we’re delighted to introduce a new concept here at the Portland Japanese Garden. 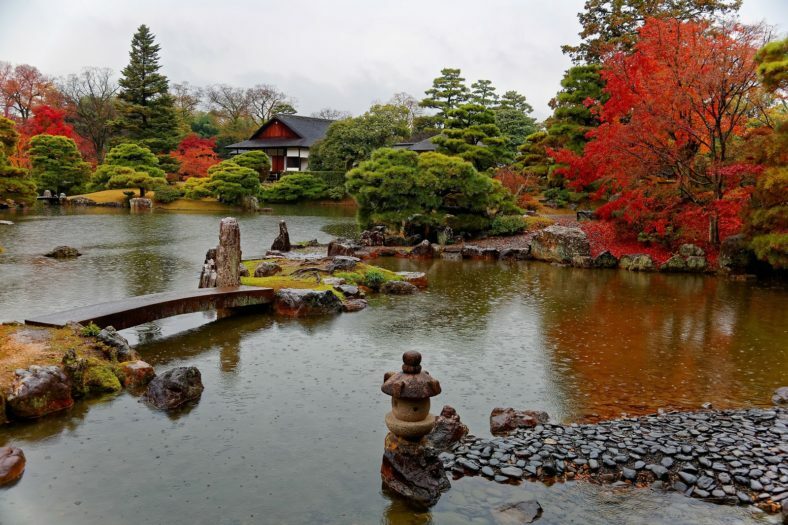 Each year the Garden will focus its programming on a different region of Japan in hopes of introducing some of the vast and varied experiences that are found in this relatively small island country. Beyond the megacity of Tokyo, there is great diversity from region to region—different customs, different dialects, festivals, crafts, and cuisine—in every corner of the country. From semi-tropical Kumamoto in the south to the snow country of Tohoku and Hokkaido in the north, Japan is full of surprises— from snow monkeys to exotic cranes, from castle towns to pottery villages, from ski resorts to quiet mountain villages where paper is still made by hand. 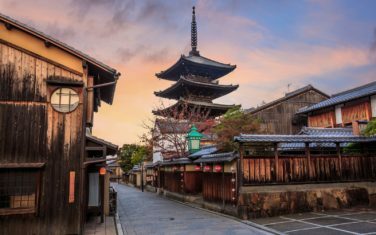 We start with Kyoto—perhaps selfishly, as this was my home for 18 years. Here, I experienced firsthand the finest Japanese gardens, many with histories that date back to the feudal ages. In Kyoto, I found incredible people who weave silk, make Noh masks, fine incense, or sweet bean cakes in the shape of cherry blossoms according to family recipes that are 350 years old. I wrote about the city* while I struggled to learn Japanese and navigate the tradition-bound culture unique to this very special place. In 2018, we introduce Kyoto’s Gion Matsuri, the oldest continuously celebrated urban festival in the world. Banks of lanterns and a performance by 20 Gion-bayashi musicians whose rhythmic chimes and flutes bring a multi-sensory experience of this magical festival to life in our Cultural Village. We will also focus on Kyoto craftsmen, bringing a group of five of Kyoto’s finest young craftsmen and women to resent their latest creations—and on Kyoto cuisine, bringing a chef from Kyoto to provide a sample of Japan’s haute cuisine. We’re not just bringing Kyoto to Portland, we’re taking Portland to Japan. In early 2018, there will be a reception in Kyoto that introduces the Portland Japanese Garden to leaders of the community, particularly those in garden-related fields. This brings us another step closer to establishing a real cultural crossing between our Garden and the classic gardens of Kyoto, their builders and caretakers, for generations to come. *Diane’s books—Old Kyoto and Kyoto: Seven Paths to the Heart of the City, along with Wabi Sabi: The Art of Everyday Life are available in the Garden Gift Shop.